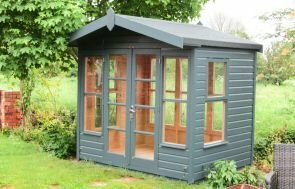 The Summerhouse measures 3.0 x 4.2m and has an elegant hipped roof covered with grey slate composite tiles. The exterior is covered with smooth shiplap painted in a two-tone fashion with cream window frames and doors and black guttering along the fascia boards. 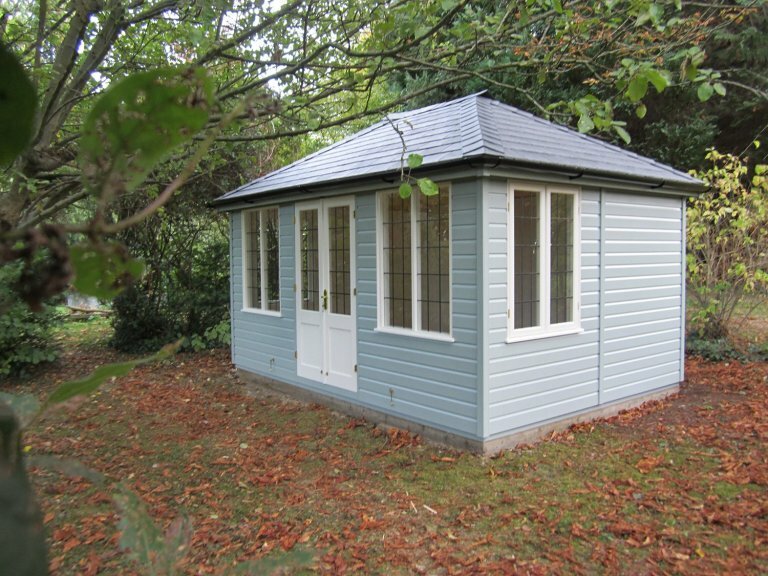 The windows feature an attractive leaded design and also boast lockable handles as requested by our customer. 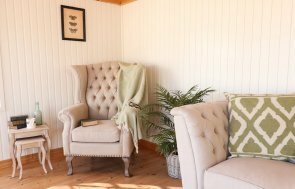 Internally, the Summerhouse is fully insulated and lined with painted pine lining in the airy shade of Ivory. 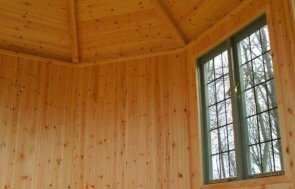 There is a natural lacquer on the floor and an electrical pack installed allowing for appliances and lighting to be used, taking the building from a simple seasonal Summerhouse to a year-round garden retreat. If you feel inspired by this building, we suggest that you pay us a visit at your nearest show centre to take a look at our range of display buildings and speak to a friendly expert about your own requirements. Locate your nearest centre here, or get in touch with us on 01760 444229.